TraceTek Alarm Modules: Digital or Analog? at the analog level by measuring voltage, current and resistance. plug-and-play addition to many building management systems. The TraceTek TTC module offers a low cost option for liquid leak detection. It is designed for use with any TraceTek sensor, and can be integrated into a variety of monitoring systems. The TTDM-128 unit provides alarm and location functions for up to 5000 feet (1500 m) of directly connected sensor and/or up to 127 external TTSIM-1 units. The TTSIM-1 Sensor Interface Module monitors up to 5000 feet (1500 m) of TraceTek sensing cable. The TTSIM-1A Sensor Interface Module monitors up to 500 feet (150 m) of TraceTek sensing cable, and provides programmable alarm relay contacts and front panel LED status indication. The TTSIM-2 Sensor Interface Module monitors up to 500 feet (150 m) of TraceTek sensing cable, and provides programmable alarm relay contacts, front panel LED status indication and LCD leak location display. 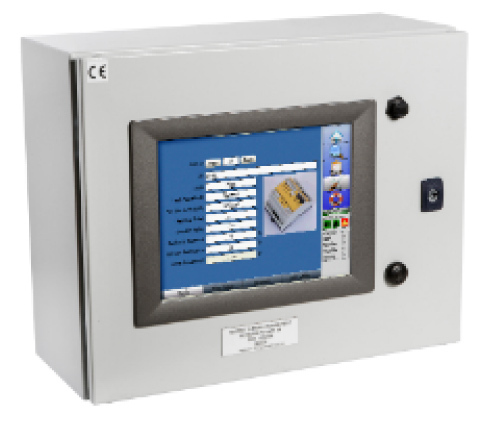 The TT-TS12 Touch Screen Panel provides a graphic user interface to manage and display information from a network of up to 250 external TraceTek leak detection circuits.